Through the "Japan Diagnosis Seminar" series, the IJS intends to discuss and evaluate diverse issues and agendas related to Japan. It is our attempt to analyze and predict the contemporary Japan's life scenes from diverse viewpoints. This time the seminar is closed to the members of the IJS. We apologize for the inconvemience. 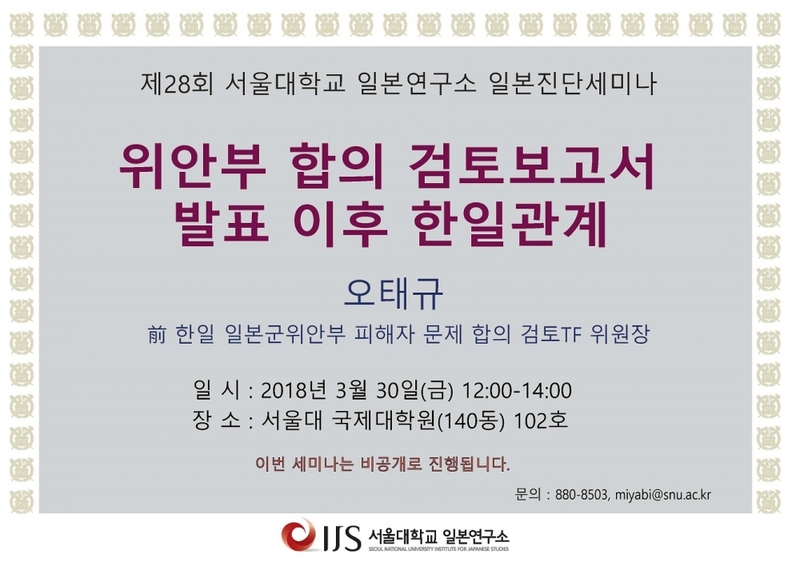 Topic : Korea-Japan Relations since the Report on the Review of Agreement on the Issue of "Comfort Women"